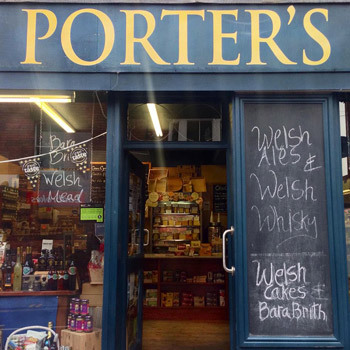 Porter's is a family run delicatessen in the pretty town of Llangollen in the beautiful Dee valley. Our aim is to source the very best cheeses, charcuterie, gourmet foods and hard to find ingredients for the benefit of both local and visiting shoppers. If you can't find what you need in a supermarket, then try us! Locally produced foods, wines and beers feature highly and we're always on the look out for new and delicious gourmet foods. 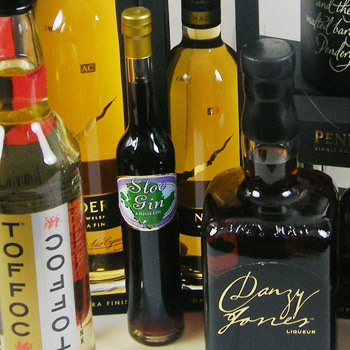 Porter's offers a bespoke gift hamper service to holiday cottage owners and guests. You can also shop online by visiting our well established and popular website Oil & More. Porter's offers a wide range of gourmet produce - both local and from further afield. Rest assured, it will always be of the very highest quality. We operate two very popular online stores where you can browse and buy delicious gourmet foods and gifts for home delivery, wherever you are! Llangollen and the Dee valley offers some fantastic sights, walking and boating. 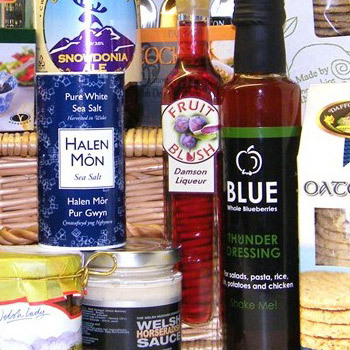 Get your holiday under way in style with a delicious hamper of gourmet produce.